When we fall in love we want to make life a pleasure for that special one. There are times in life when we want our loved ones to feel special like the day itself. There are so many ways to make those moments unforgettable. If your boyfriend-girlfriend is miles away and you would love to give your best wishes at that long distance too then. There are so many ways to share these special moments. If you are not able to send some expensive gift then just a single line text message can bring the tears of happiness in your loved one ’s eyes and those little words would make your beloved feel the warmth of your feelings. Apparently, these are just words but if we look into the meaning and the feelings associated with these, they are a whole world of blessings, prayers, trust, sincerity and above all the endless love and affection that you cannot have for anyone else. Birthday is a special moment in the life. It is celebration of coming into this world. The yummy cake, a floral collection, a beautiful card with beautiful words writing can make the day of anyone. The same goes for the couple in love, the hearts in love are waiting for the moment the clock struck 12 and the partner calls him or pays him a visit with a surprise. When the two hearts are separated with several miles then this desperation reaches its peak. Technology has made the things really easy now. Just write a lovely message and click the send button on your cell phone to let your beloved know that distance has nothing to do with the feelings and emotions. 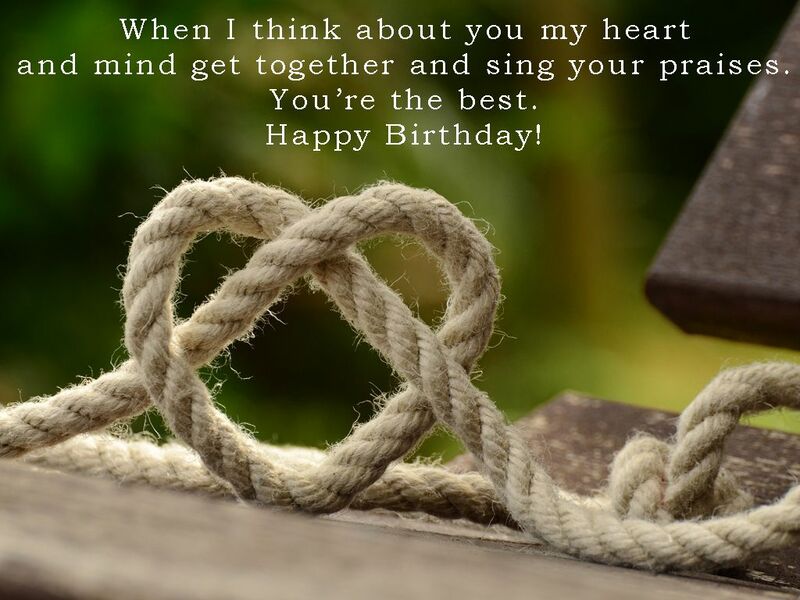 If you are in love and your sweetheart is sitting far away from you then we have some special messages for you to share with your loved one on their birthday. You can easily choose the right option as per your preference and the nature of your beloved. A warm birthday wish from your girl friend sitting miles away but waiting to leave a kiss of well wishes on your cheek. If I could thank God for one special happening in my life then it is you. You are not just my boyfriend but my support and strength. Today you are miles away but my heart wants to wish the best birthday to you. May this day becomes a special day in your life full of fun, great times and dreams. A special wish for my birthday boy sitting continents away from me. I don’t know when would I be able to hug you or give you a birthday kiss, but keep it in mind that whenever we meet next I will make your moments the most special special one. Wishing all the best to my most loving and caring boyfriend on his special day. My words are not enough to express how I feel being away from you on your special day. Thanks sweetheart for loving me the way I am. I am lucky to find you as my man. Happy birthday my love! Today there is one thing between us and that is distance. I just want to tell you one thing that you are my only soulmate. Your love makes me feel complete. I can’t think of a life without you. Love you to the moon and back. Happy birthday the special guy in my life. It is very difficult to tell how I feel for you. whenever you are with me the life comes to a standstill. The clock forgets ticking. The only movement is that of the heart and the only sound is that of the heart beating with your name. wishing you the best in your life on your birthday my super guy. Thanks for holding me when I am falling, thanks for bringing me together when I am broken, and thanks for making me feel special. Today you are several miles away but I just want to assure you that you are the only happiness in my life. Happy birthday love. Today I want you to go to bed with the thought that you have been the best boyfriend I could possibly get. You have been like the solid rock of my life. Happy birthday dear. A perfect wish for a perfect man. This small text message holds a whole ounce of love for my best buddy on his birthday. Missing your presence. A perfect birthday wish for the queen of my heart. Missing you love on your special day. I promise that once you are back we will celebrate it in a special way. Happy birthday till then my love. I feel my love is much stronger than yours. It does not matter how far the distance has parted us. We are close in our feelings. Feel me around in your special moments. Happy birthday from a desperate boyfriend. Happy birthday to the sweetest, most caring and the most supportive girl friend. Missing you loads today. I just want to tell you on your birthday that a girl like you deserves the best in your life. Wishing you the best birthday of your life. On this birthday just want to tell you that I am missing you more and more with every passing day. Happy birthday my lady of dreams. It is nice to know that there is someone to love me. I feel the luckiest to have you as my girlfriend. Happy birthday my love sitting miles away. Wishing you all the success, happiness, and love in the years to come. Wish I could give you a hug and say HAPPY BIRTHDAY my love. I know many people must be thinking of you on this special day but let me tell you that you mean a whole world for you, it does not mean where you are, all that matters is that this is your special day. Happy birthday my girl! I just want to make a promise on your birthday that I will be with you always. Whether it is sunshine or rain, thick or thin I will stand with you. happy birthday my dream girl. Happy birthday my beauty with brain. Waiting to hold you close to wish you in the perfect way. Till then happy birthday darling.